Pope John Paul II has been a huge inspiration for me in my faith and my vocation as a priest. I was at seminary at the English College in Rome, from 1992 to 1997, and the Sunday timetable was designed so that we could get to St Peter’s for the Pope’s Angelus address between Mass and lunch. It was wonderful to wander down to St Peter’s Square and join the crowds, especially if you had visitors staying with you; not just to see him – as a kind of tourist event or cultural icon – but to listen to him and above all to pray with him. The sense of ‘being in communion’ with the worldwide Church through your prayerful communion with St Peter’s successor was very strong. Two personal memories stand out. Each year we had a different pastoral placement in Rome – some pastoral project that we got involved in once a week. One of these, for me, was working in a youth centre near St Peter’s. One week the team was invited to the Pope’s early morning Mass in his private chapel. We arrived all excited, like fans wanting to gawp at a celebrity, but we were suddenly caught up in an atmosphere of profound stillness and contemplation. He was there praying before the tabernacle. That’s all. But it felt as if he was carrying the needs of the whole Church in his heart, and as if the mystery and holiness of God were a living reality for him. I think he was a contemplative, who lived continually in the presence of God. I was so keen not to reduce this prayerful encounter to an anecdote that I passed by the chance to buy the photo of our brief meeting afterwards – which I regret deeply now! The other memory is the World Youth Day that took place in Rome in 2000. He was elderly and already quite frail, but when he came out to meet the young people – nearly two million of them – you could see how energised and open he was to them. He was like a father, who somehow communicated a genuine love for everyone there, an almost personal concern, and a longing for them to know the beauty of Christ and the beauty of a life that is given to Christ. It seemed to touch everyone personally in a profound way. He was a great teacher, a great leader; but it’s these personal memories of his goodness and holiness that seem to stand out for people – even those who never met him. I don’t have the photo from that ‘private Mass’, just the memory; but I’ve got his Apostolic Blessing on the wall beside my desk, from the day of my ordination in 1998 – which makes up for it! Is Pope John Paul II’s beatification too quick and too controversial? There is some controversy about Pope John Paul’s beatification this coming weekend. Is it too quick? Can we really understand the significance of someone’s pontificate when we are still so close to it? Surely he took some false steps and made some decisions that with hindsight seem to have been unwise? I think it’s important to remember that when you beatify a person you are not beatifying every decision they ever made. The Church makes a judgment about their holiness, about their love for God and for their neighbour, and knows enough to say that their deepest intentions were good and their underlying motivations were pure – even if, in their human frailty and weakness, they made mistakes. You can honour a saint without having to pretend that you agree with every opinion they held or every choice they made. This thoughtful piece by John Thavis explains how someone is beatified for their holiness – for the way their faith, hope and charity have shone out in the world and touched the lives of other. As church officials keep emphasizing, Pope John Paul II is being beatified not for his performance as pope, but for how he lived the Christian virtues of faith, hope and love. When the Vatican’s sainthood experts interviewed witnesses about the Polish pontiff, the focus of their investigation was on holiness, not achievement. What emerged was a spiritual portrait of Pope John Paul, one that reflected lifelong practices of prayer and devotion, a strong sense of his priestly vocation and a reliance on faith to guide his most important decisions. More than leadership or managerial skills, these spiritual qualities were the key to his accomplishments–both before and after his election as pope in 1978. Wojtyla’s friends of that era always remembered his contemplative side and his habit of intense prayer. A daily Mass-goer, he cultivated a special devotion to Mary. In 1938, he began working toward a philosophy degree at the University of Krakow. A year later, the Nazi blitzkrieg of Poland left the country in ruins. He was ordained four years later, as Poland’s new communist regime was enacting restrictions on the Catholic Church. After two years of study in Rome, he returned to Poland in 1948 and worked as a young pastor. From the beginning, he focused much of his attention on young people, especially university students — the beginning of a lifelong pastoral interest. Students would join him on hiking and camping trips, which always included prayer, outdoor Masses and discussions about the faith. Father Wojtyla earned a doctorate in moral theology and began teaching at Lublin University, at the same time publishing articles and books on ethics and other subjects. In 1958, at age 38, he was named an auxiliary bishop of Poland, becoming the youngest bishop in Poland’s history. He became archbishop of Krakow in 1964, and played a key role in the Second Vatican Council, helping to draft texts on religious liberty and the church in the modern world. He was elected Pope in 1978, and it didn’t stop him deepening his spiritual life. Pope John Paul canonized 482 people, more than all his predecessors combined. Although the Vatican was sometimes humorously referred to as a “saint factory” under Pope John Paul, the pope was making a very serious effort to underline what he called the “universal call to holiness” — the idea that all Christians, in all walks of life, are called to sanctity. “There can never be enough saints,” he once remarked. In his final years, the suffering brought on by Parkinson’s disease, arthritis and other afflictions became part of the pope’s spiritual pilgrimage, demonstrating in an unusually public way his willingness to embrace the cross. With his beatification, the church is proposing not a model pope but a model Christian, one who witnessed inner holiness in the real world, and who, through words and example, challenged people to believe, to hope and to love. This is the man who is being beatified this weekend. 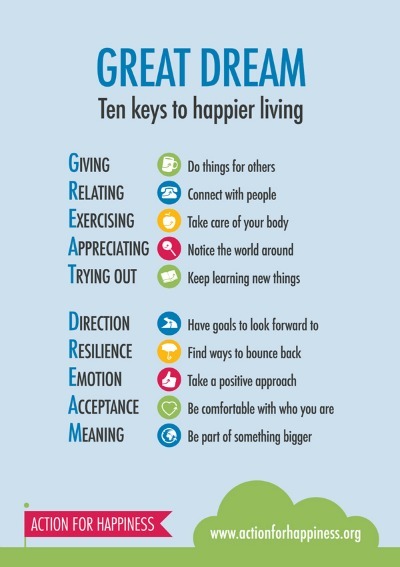 If, despite the Resurrection, you still need a boost, try these ‘Ten keys to happier living’ from the Action for Happiness campaign. It’s easy to mock this kind of project (as banal, twee, patronising, ineffective, etc) and I don’t know what effect it will actually have – perhaps about as much as those posters on the buses that tell you not to eat smelly food or play loud music – but as you know I’m a sucker for these self-help summaries, and I like the fact that it’s an attempt to question why the materials gains we have made in the West over the last two generations have not increased our happiness. It’s happiness as self-fulfilment by not seeking self-fulfilment; self-help by not seeking to help the self but by looking beyond the self; happiness as something that stems from your subjective approach to your situation and not just from the objective facts about the situation into which you are unwillingly thrust. Lots of truth here; together with the risk of Pelagianism – salvation by personal striving. Happiness is about our lives as a whole: it includes the fluctuating feelings we experience everyday but also our overall satisfaction with life. It is influenced by our genes, upbringing and our external circumstances – such as our health, our work and our financial situation. But crucially it is also heavily influenced by our choices – our inner attitudes, how we approach our relationships, our personal values and our sense of purpose. There are many things in life that matter to us – including health, freedom, autonomy and achievement. But if we ask why they matter we can generally give further answers – for example, that they make people feel better or more able to enjoy their lives. But if we ask why it matters if people feel better, we can give no further answer. It is self-evidently desirable. Our overall happiness – how we feel about our lives – is what matters to us most. In recent years there have been substantial advances in the science of well-being with a vast array of new evidence as to the factors that affect happiness and ways in which we can measure happiness more accurately. We now have an opportunity to use this evidence to make better choices and to increase well-being in our personal lives, homes, schools, workplaces and communities. See our Recommended Reading list for useful books which summarise some of the recent scientific findings in an accessible way. What do you think? The last part of the ‘scientifically proven’ wish-list is especially interesting: ‘Meaning: Be part of something bigger’. Does it matter what that something is? Or whether it is true? The play was even better than last year. It wasn’t just the glorious weather – although that certainly helped; or the screen – which made a huge difference. It felt tighter, more focussed. I don’t know if the script had been changed, or if it was just because the staging area seemed more restricted, or because it was the second year. One or two moments stood out for me. First, when Simon of Cyrene was pulled out of the crowd by the soldiers to carry Jesus’s cross (just like last year) his wife raced after him – I presume it was his wife, sitting beside him in the audience. Or maybe I just missed this last year. She was terrified that her husband was being dragged into the violence and mayhem of the Jerusalem/London streets – which he was. She circled round the edge of the crowd, desperate to help her husband and spare him this ordeal, not knowing where it would end, terrified that he might be crucified himself if he arrived at the place of execution with the cross on his shoulders. It was a lovely touch. It reminded me that Simon of Cyrene – and all the others involved – are not just ‘characters’ who exist in some kind of suspended biblical animation, they are people with relatives and friends and colleagues and neighbours. It made me think of the relatives of all those who have even been kidnapped, tortured, murdered and forgotten – those who perhaps live with the agony far longer than those who perpetuate the crime and even those who suffer it. The Gospel narrative is so much more than the people who are actually mentioned by name. The second moment was unintentional. When Jesus first appeared after his resurrection, and spoke to Mary Magdalene, the audience started clapping! It was so not appropriate – it completely broke the dramatic spell – but at another level it was so beautiful, and so British! Jesus appears; the Son of God comes among us in all his glory; the Risen Saviour is in our midst. We’ve got to do something! We’d like to scream or weep or fall flat on our faces in worship and adoration. But we’re British, and we don’t do these things in public, and the only visible display of approval or mild emotion we are able to make around strangers is to clap, politely, as if we are applauding a boundary at Lord’s or a dull after-dinner speech. It was marvellous. Jesus Christ is risen from the dead – and we clapped! And right at the end, after the Resurrection, Jesus stepped through the crowd in his white garments as the audience was applauding. He didn’t take a bow. He walked up towards the National Gallery, across the top of Leicester Square, and into the streets beyond. I followed him, while the post-production congratulations were taking place in the square behind us. This year, a similar thing happened, but because of the weather the crowd was thicker and in no mood to let Jesus go. When he got to the top of the steps in front of the National Gallery, as Archbishop Vincent was saying thank you to the organisers, dozens of people crowded round him – just happy to see him close up. And what did they want? Photos! So there was Jesus, smiling for the cameras – holding a child who had been lifted up for him; then with his arms around some friends as they peered into the lens; then standing in the middle of a large group for the camera. He was happy and obliging; in no rush; with a huge grin on his face. Obviously enjoying the people, and enjoying their joy in meeting him. At first I thought: the play is over, the spell is broken, and the actor is quite rightly taking his bow. But then I thought: No, this is still very real. If Jesus were walking through Trafalgar Square today, would we be taking photos? Of course we would! Or put it the other way round, if people had had cameras back then, ordinary people who loved him and were delighted to catch a glimpse of him, would Jesus have marched away with a frown on his face, telling them to take life more seriously and to let go of these worldly gadgets? I don’t think so. He was, above all, kind. He met people where they were. He loved the ordinary and sometimes stupid things that they loved – as long as they were without sin. He would have stopped for photos. Seeing this actor smile for the cameras – a warm, genuine, affectionate smile – didn’t create any disjunction in my mind with the Jesus he had just been playing. Quite the opposite – it helped me realise something about the kindness and humanity of this Jesus, and made me wonder even more about what it would be like if he were to walk the streets today. far more addictive, expensive, energy-sapping and injurious to health than crack cocaine. I’m not boasting. It really is popular. Obviously I don’t always get the 1.5 million hits I had when the Climategate story broke. But in an average week the number of hits I get is roughly twice the circulation of The Spectator, and in a good one bigger than those of the Guardian and the Independent put together. And the reason for this is that… I have a talent for blogging. Admittedly I’m no use for gossip or inside-track Westminster analysis. What I can do though, better than most, is that mix of concentrated rage, flippant wit, irreverence, bile and snarkiness which many blog readers seem to think defines the art. Some may think this ungrateful of me. After all, thanks to my blog, I’m at least ten times more famous than I used to be — with readers all over the world who think I’m just great. But what most people don’t understand (only bloggers do, in fact) is the terrible emotional, physical and financial price you pay for this privilege. In Delingpole’s eyes, the success and the likelihood of burnout seem to be inseparable, because of the compulsive nature of the effective blogger. There are only so many really first-class bloggers out there and unless they’re being paid to do it as a full-time job (which only a handful are) then they’re almost bound, as I just have, to retire hurt. When I looked back at the last 18 months and wondered why I’d got so ill, the answer became pretty self-evident: it’s because every spare scrap of time that had hitherto gone on stuff like pottering in the garden, having the odd game of tennis, taking the kids to school, listening to music, reading, walking and relaxing, had been almost entirely swallowed up by blogging. And I can’t pretend I didn’t enjoy doing it: that’s the problem — it’s an addiction. As a blogger you can’t read a news story without wanting to comment on it. You’re constantly trawling your other favourite blogs to see whose story is worth following up. And when you’re not doing that, you’re busy catching up with the hundreds of comments below your latest post, trying not to be cut up by the hateful ones, while trying to respond encouragingly to the sympathetic ones. I love it. I love my readers (the nice ones anyway). But for the moment I love slightly more the idea of not driving myself to an early grave. I don’t think I’m at the burnout stage yet. 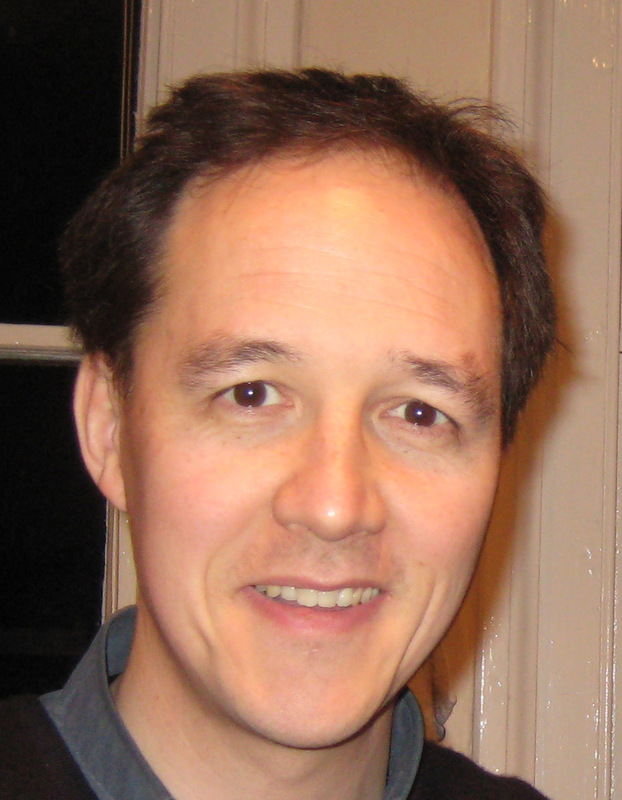 You can see Delingpole’s website here, and his old Telegraph posts here. There is a quick online test you can take to see how addicted to blogging you are – try it here. It only takes 30 seconds. The last question, for any blogger, is very funny indeed. I came out at an unimpressive 64%. When are you definitely dead? Forgive the crude title, but this is the question I was discussing with a group of healthcare professionals recently. The specific topic was ‘brain death’, which is a phrase so widely used today that it hardly ever gets questioned. If someone’s brain is ‘dead’ then surely the person is dead as well? If the human brain has ceased to function then surely the human being has ceased to be alive? Not necessarily. Much of the controversy is about organ transplantation. If you are going to take someone’s heart and give it to another person, you have to be sure that they are dead before you remove the heart, otherwise the act of removing the heart will be the very cause of their death. At least, that’s what most ethicists would say. The surgeon wants to know that he or she is taking a heart from a corpse and not killing a person. For many years, it has been assumed that if someone is certified ‘brain dead’ then they are definitely dead, and the transplant can go ahead. But this is being questioned more and more. For purposes of organ removal, there are two commonly accepted sets of criteria for determining that death has occurred: the “cardio-respiratory” standard and the “neurological” standard (sometime referred to as the “whole brain death” criterion). The Uniform Determination of Death Act formulated in 1981 by the President’s Commission and widely adopted throughout the U.S. defines the first as the “irreversible cessation of circulatory and respiratory functions”, and the second as “the irreversible cessation of all functions of the entire brain, including the brain stem.” Although each criterion focuses upon a limited set of critical functions, the state of death of the entire human organism is thought to be able to be inferred by focusing on any one of them. In his 2000 address, John Paul II says that when “rigorously applied” the neurological criterion “does not seem to conflict with the essential elements of a sound anthropology.” He goes on to say “therefore a health-worker professionally responsible for ascertaining death can use these criteria [i.e., cardio-respiratory and neurological] in each individual case as the basis for arriving at that degree of assurance in ethical judgment which moral teaching describes as ‘moral certainty'” (No. 5). But new questions have come up in the last few years. Recall the pope says that death consists in the “disintegration of that unity and integrated whole that is the personal self” (no. 4), and that we can identify biological signs that follow upon the disintegration. It seems to follow that an apparent absence of certain biological signs of somatic (bodily) disintegration can raise reasonable doubts as to whether death has occurred. Brain dead bodies cannot breathe on their own since the involuntary breathing response is mediated by the brain stem, which has suffered complete destruction. So the bodies need to be sustained on a mechanical ventilator, which supports the body’s inspiration and expiration functions (breathing in and out). But with ventilator support, the bodies of brain dead patients have been shown to undergo respiration at the cellular level (involving the exchange of O2 and C02); assimilate nutrients (involving the coordinated activity of the digestive and circulatory systems); fight infection and foreign bodies (involving the coordinated interaction of the immune system, lymphatic system, bone marrow and microvasculature); maintain homeostasis (involving a countless number of chemicals, enzymes and macromolecules); eliminate, detoxify and recycle cell waste throughout the body; maintain body temperature; grow proportionately; heal wounds (i.e., the immunological defense of self against non-self); exhibit cardiovascular and hormonal stress responses to noxious stimuli such as incisions; gestate a fetus (including the gaining of weight, redistribution of blood flow favoring the uterus, and immunologic tolerance toward the fetus); and even undergo puberty. The data is indisputable. Yet there is considerable disagreement on how to interpret the data with respect to the question of human death. Some scholars such as James M. DuBois, writing in the 2009 “Catholic Health Care Ethics” manual published by the National Catholic Bioethics Center, refer to this long list of functions of brain dead bodies as “residual biological activities” no more expressive of life than the twitching of a lizard’s amputated tail. Others, including scientists and several philosophers and theologians who, with me, accept magisterial teaching, are less comfortable setting them aside as possible signs of true somatic integration. Although Shewmon’s evidence certainly does not establish that brain dead bodies are the bodies of living (albeit highly disabled) persons, in my judgment, and in that of other competent scholars and scientists, it raises a reasonable doubt that excludes “moral certitude” that ventilator-sustained brain dead bodies are corpses. It’s not an argument to say that a brain dead person is necessarily still alive – it simply suggests that there are serious doubts and questions about the meaning of brain death. And as long as such questions remain, we shouldn’t pretend that we have absolute confidence that a brain dead person is definitely dead. And if that’s the case, then there are implications for how we continue to care for such persons, and whether or not we transplant their organs. Brain death occurs when a person in an intensive care unit no longer has any activity in their brain stem, even though a ventilator is keeping their heart beating and oxygen circulating through their blood. Once a brain stem death has occurred, the person is confirmed dead. Unfortunately, there is no chance of a person recovering once their brain stem has died. This is because all of the core functions of the body have stopped working and can never be restarted. Although a ventilator can keep the heart beating, the person is effectively dead. If permission has been given, organs can be removed for transplant and ventilation is withdrawn. Once ventilation is withdrawn, the heart stops beating within a few minutes. I’m sure you have all seen this sign by the escalators on the London Underground (or something similar elsewhere): Dogs must be carried on the escalator. I remember one of my teachers analysing this in a class years ago – maybe it was English A-level, when we were looking at how the meaning of words is always dependent on the broader context. But here, even when you know the context, the meaning is still beautifully ambiguous. Take a look at this hysterical video in which a heroic group of law-abiding citizens confronts the scandal of millions of travellers not carrying dogs on the escalators, and tries to enforce the London Transport bye-laws.